Since its opening in 1958, Tokyo Tower has been a well-known symbol of Tokyo and Japan. Tokyo Tower has kept watch from the center of Tokyo in both the Showa and Heisei eras, and will reach its 60th birthday on this coming December 23rd. In celebration of this 60th anniversary year,a variety of memorable goods and collaborative merchandise are now available! You can only get your hands on all these invaluable items now. Take advantage of this opportunity to buy them! the product of a collaboration with Inazuma Beer, the "first beer brewery in Minato Ward!" Created from wheat and oats, this is an IPA style brew that combines a mild flavor with the addictive scent and bitterness of hops. 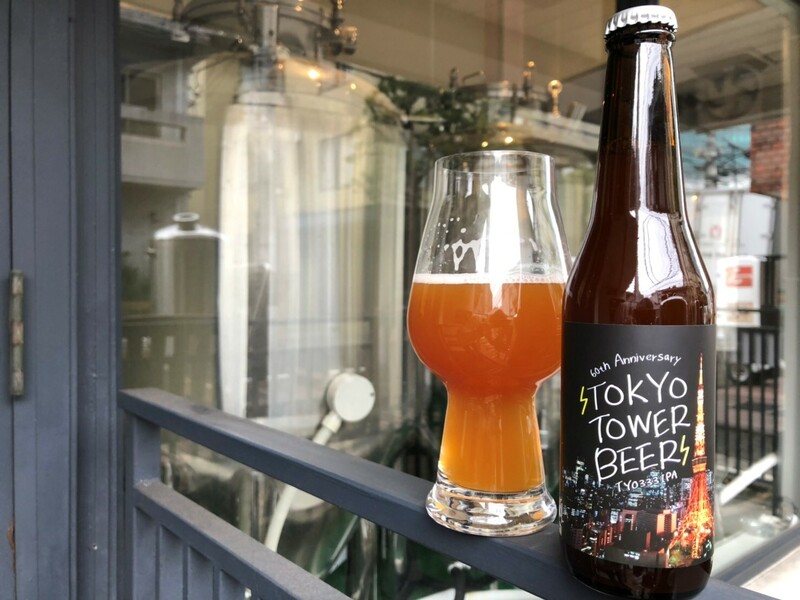 This collaboratively produced beer has been created at a brewery in Roppongi, Tokyo, to commemorate the 60th anniversary of the opening of Tokyo Tower, and is available for a limited time only! All the labels are original, and the volume is 333 ml, so as to match the height of Tokyo Tower! The beer is on sale as a completely original product from December 24th at the Tokyo Tower official shop GALAXY! Why not enjoy a glass when you come to visit Tokyo Tower?! We welcome you to savor this beer which is only available for purchase here! Freshly baked and using only the finest ingredients, we introduce our beloved "Aunt Stella's cookies” to commemorate the 60th-year anniversary of the opening of Tokyo Tower and its collaboration with Aunt Stella! Take the cute designs of Tokyo Tower’s T333T, "Baby Stella" of Aunt Stella cookies fame, and the letters "60th," put them together, and you have the completely original design of Mr. Shiro Nakano, famous for his "play set products," who has worked on redesigning famous characters and designing corporate characters. These perfectly portable commemorative tins, which can hold up to six cookies, are available for purchase for a limited time only at “The Sky” and “Galaxy," the official shops of Tokyo Tower. Don’t miss these commemorative items celebrating 60 years of collaboration! They’re perfect as gifts or to take home! 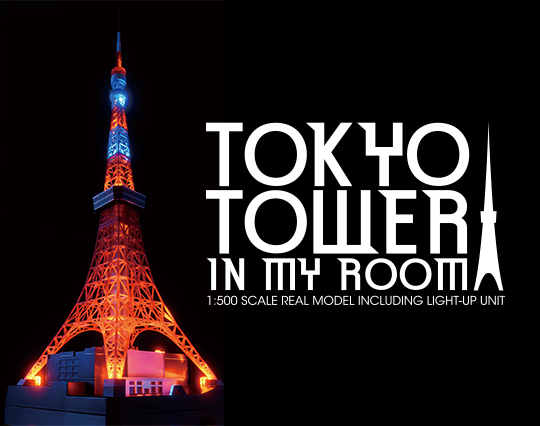 model reproduction will be available to purchase from December 20th!Under Tokyo Tower's complete supervision, the 333m of Tokyo Tower has been faithfully reproduced down to the fine details in this 1:500 size of 66.6cm! The orange and white colors, the size of the antenna, and even every individual window frame of the Top and Main Decks have been painstakingly recreated in this model, making it an ideal addition to any home where it can be appreciated in comfort whenever you please. The age of "one in every home, My Tokyo Tower"! ■ Available at: Foot Town 3F GALAXY, retailers and general stores nationwide, mail order, etc. To commemorate Tokyo Tower’s 60th anniversary, starting November 21st (Wed) Shufunotomo will start selling a set containing an original seal collection book for the Great Shinto Shrine located in the tower and a booklet that introduces the tower’s highlights of the tower! 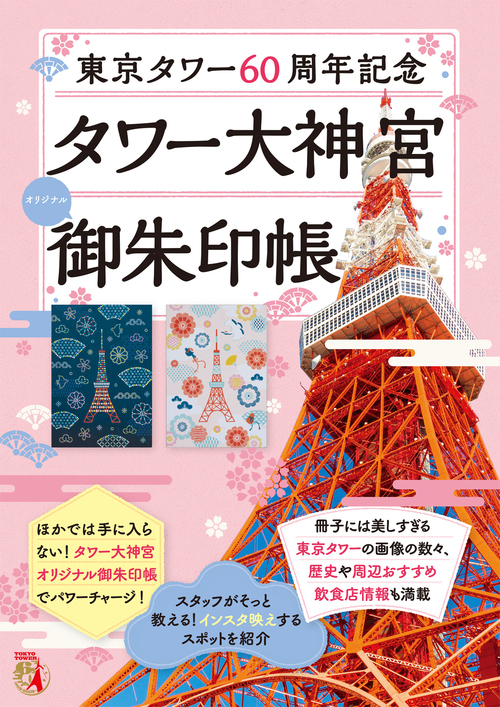 This is Tokyo Tower’s first ever seal collection book, featuring a cute and charming design that shows the appearance of the tower at day and at night. The 16-page full color booklet is full of useful content, including helpful hints from Tokyo Tower staff about photo spots that look good on social media, info on nearby restaurants where you can get a reasonably priced lunch or dinner, an introduction to the history of the tower, and more. And in commemoration of this set going on sale, the Tower Great Shinto Shrine seal stamping service, which normally requires reservations for groups of five people,will be offered to individuals without reservation on special days! A limited time book that comes with a seal collection book, and a seal that has the 60th anniversary logo. *Please note that the seal is presented already stamped on a sheet of paper. It will not be stamped directly to your seal collection book. *You must pay to enter the Main Deck. 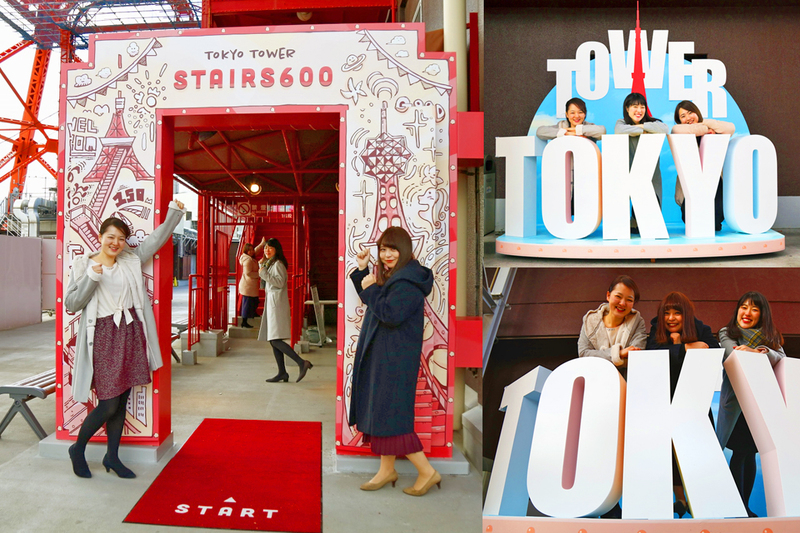 A new photo spot has been opened to commemorate the 60th anniversary since the opening of Tokyo Tower! An "entrance gate" will be opened in front of the ascending staircase on Foot Town's rooftop to make visitors even more eager to climb the staircase. Its gateway-style illustrated entrance is very cute, and can give visitors an exciting start to the 600-step staircase that connects to the observatory. ♪ A special "CLOSE" sign has also been prepared to entertain visitors when the outside staircase is closed on days other than Saturday, Sunday, and holidays, or after open hours. (Only when the rooftop is open.) Also, a "participatory photo spot" will open for visitors to take commemorative pictures before climbing the staircase! This photo spot includes the words "Tokyo Tower" standing in 3D, giving you the opportunity to take many kinds of pictures. Make sure to take a picture here if you visit Tokyo Tower. Capture your sweet memories in a picture here! A first-ever collaboration between Tokyo Tower, which is celebrating its 60th anniversary, and The Royal Park Hotel Tokyo Shiodome, which is celebrating 15 years since it opened for business! The Tokyo Tower Room Accommodation Plan, which comes with an entrance ticket for the Tokyo Tower top deck tour and Tokyo Tower merchandise that you can take home, is now on sale! We welcome you to spend a memorable day at Tokyo Tower, which will include a tour of the top deck that was refurbished in March this year. 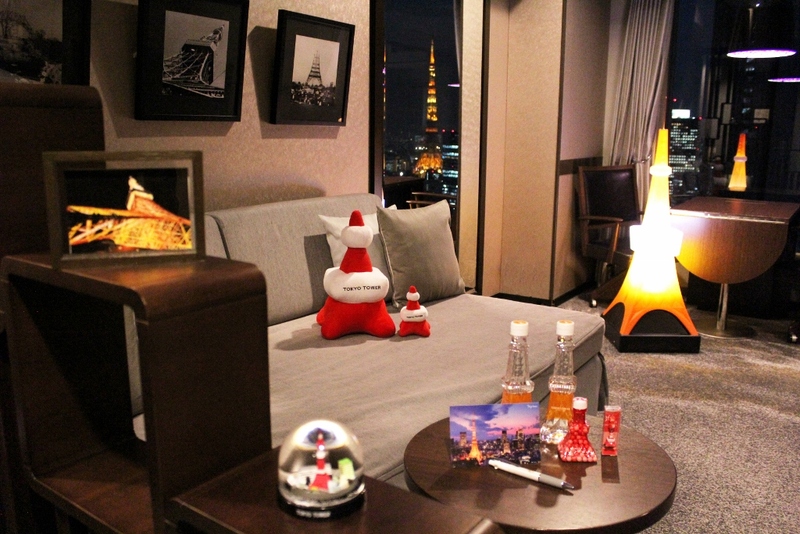 Once you're back at the hotel, your room will be waiting for you decorated with photos of Tokyo Tower and Tokyo Tower merchandise. 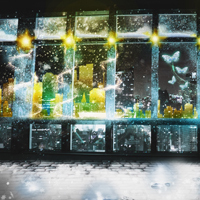 From your hotel room window, you will be able to enjoy night views of the city of Tokyo and Tokyo Tower itself. We welcome you to enjoy a gorgeous night immersed in memories with that special someone, the kind of night that you will remember forever! 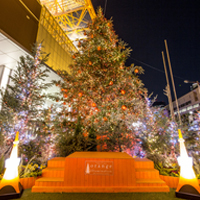 "On that special day, come and enjoy Tokyo Tower, and make it a day that you will remember forever....♪"
THE SKY on the Main Deck 2nd floor and GALAXY on the Foot Town 3rd floor? Original goods that can only be found at Tokyo Tower and 60th anniversary goods are now on sale only at these two stores! 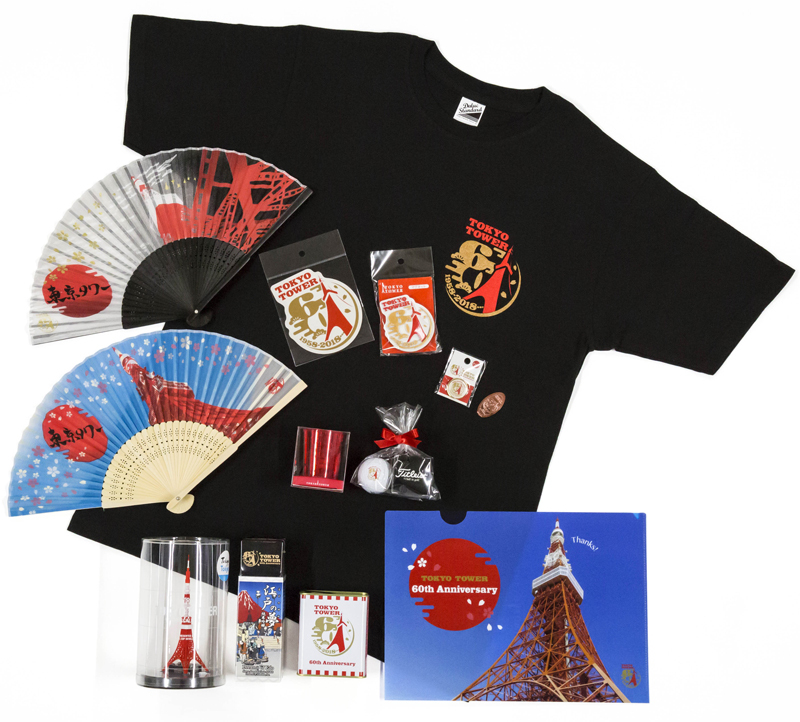 Whether coming to Tokyo Tower after a long absence or a frequent visitor, buying a present for yourself or for your family and friends, come purchase Tokyo Tower 60th anniversary commemorative merchandise now on sale for a limited time! 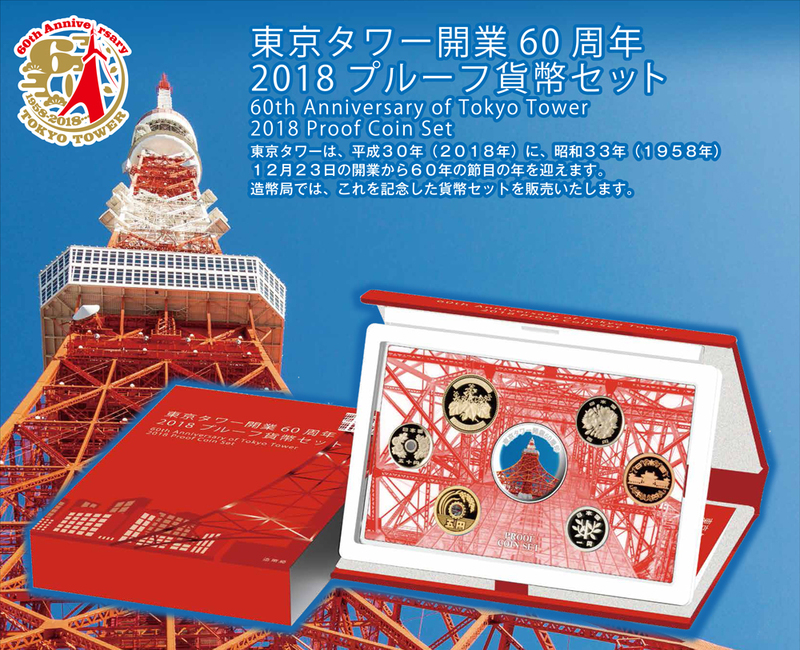 To commemorate Tokyo Tower reaching its 60th anniversary, Japan Mint presents the 60th Anniversary of Tokyo Tower 2018 Proof Coin Set! This original coin set contains six different proof coins, including 500-yen and 1-yen coins inscribed in 2018, and a silver medal, all in a special leather case. Tokyo Tower is carved on the front of the silver medal in a relief design, whereas the back features the 60th anniversary commemorative logo carved with a satin finish technique, making this quite the invaluable item! On sale for a limited time from November 1st (Thu) to 21st (Wed) by postcard or from Japan Mint’s online shop! 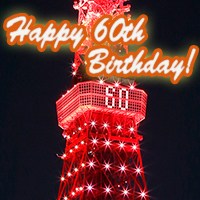 Tokyo Tower opened in 1958 and reaches its 60th anniversary this year. At the same time, the Subaru 360, the car which marked the first step of the Subaru brand, celebrates its 60th birthday this year too. 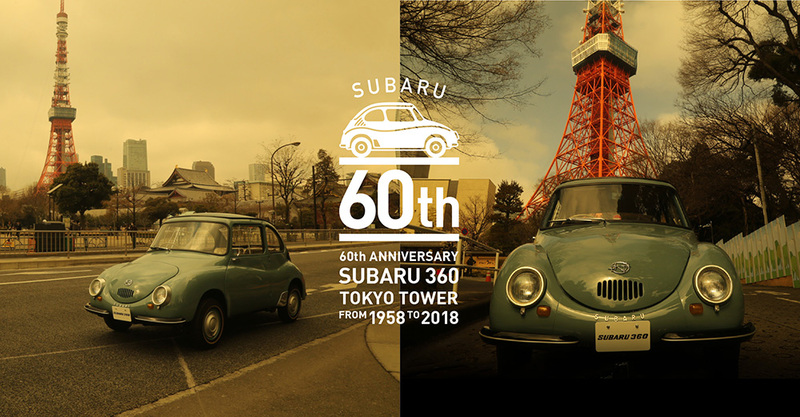 In celebration of these two symbols of Japan’s rapid economic growth turning 60, special goods incorporating the valiant figure of the Subaru 360 and the lovely impressive visuals of Tokyo Tower are being sold! These goods, which allow you to feel the 60 years of history of Tokyo Tower and Subaru 360, are being sold in four stages on Subaru’s online shop. There are plenty of collaboration items with lovely designs, so even if you aren’t a Tower fan or a Subarist, you should check it out! Introducing the Tokyo Tower x Red Mamushi, a collaboration item commemorating the 60th anniversary of Tokyo Tower! 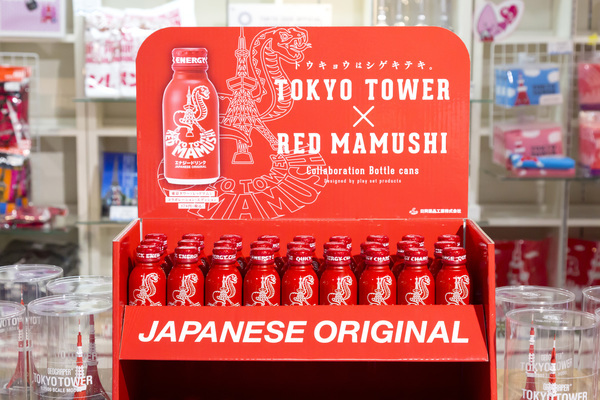 Red Mamushi Drink is the father of Japanese energy drinks. This collaboration was formed from the compatibility of both companies’ history and the red-white color combination. The limited edition collaboration design cans are a popular item now on sale on the Tokyo Tower Official Shop! The impressive design of the Mamushi wrapped around Tokyo Tower and the easy-to-carry size makes it a perfect gift that can only be found in Tokyo! You can even finish this energy drink all in one gulp. The drink has a vivid color, so we also recommend you dilute it with red wine, fruit, gin, or beer and enjoy it as a cocktail. Give it a try! To commemorate the 60th anniversary of the opening of Tokyo Tower, the "Tokyo Tower BE@RBRICK 1000% Landmark Light ver." 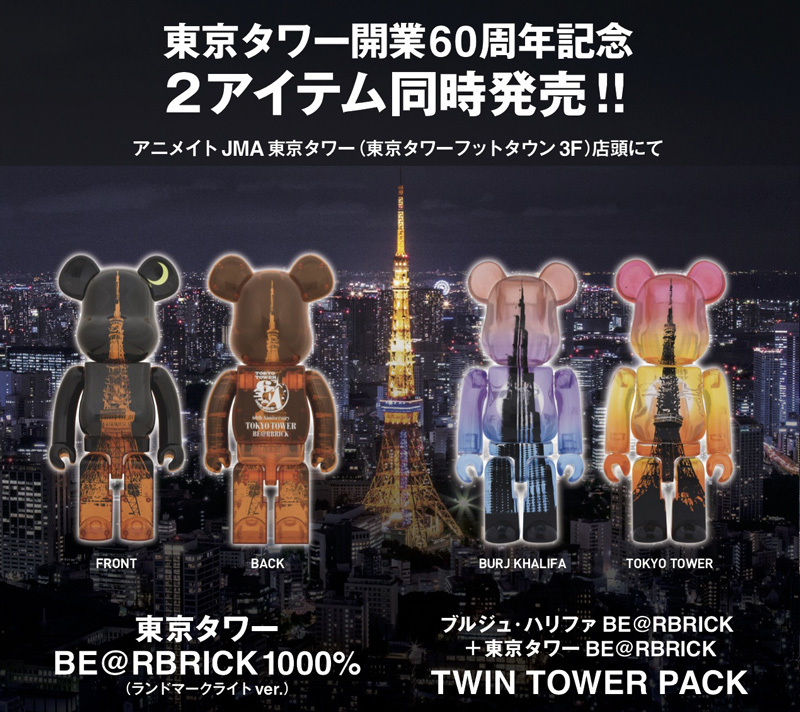 and the "Burj Khalifa BE@RBRICK & Tokyo Tower BE@RBRICK TWIN TOWER PACK" are now on sale! It's been 10 years since the original Tokyo Tower BE@RBRICK figurine was introduced. In response to numerous requests from customers, the 1000% version is now available! The 1000% version shares the same Landmark Light design as the original Tokyo Tower BE@RBRICK figurine. A commemorative collaboration featuring the Burj Khalifa in Dubai is also available! The tower, which rose to fame with its appearance in movies and other media, is a member of the World Federation of Great Towers, together with Tokyo Tower. Don't miss out on this great opportunity to collect these limited edition BE@RBRICK figurines! ※As the figurines are limited edition, please note that purchase is subject to availability.